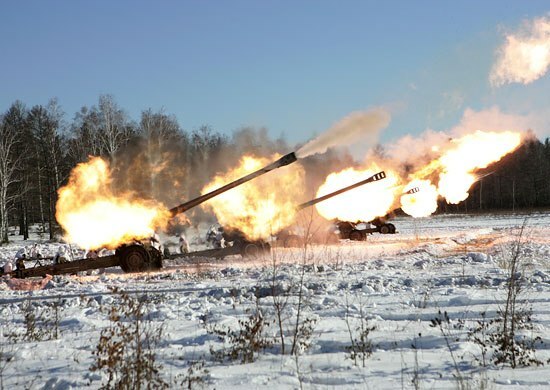 During the evening and night Ukrainian military shelled the frontline territories along all of the contact line, including Yasinivataya town and the area around it, northern outskirts of Gorlovka and Donetsk, as well as Sakhanka and Kominternovo villages in the south of DPR by mortars, heavy artillery and IFVs, a source in Donetsk People’s Republic Defense Ministry told Donetsk News Agency on March 30. “Kominternovo village was shelled at approximately 04:00. The Ukrainian side shelled by 120mm and 82mm mortars,” the source said. He added that the village was shelled from the positions of Ukrainian military in occupied Vodyanoye village. Four 120mm and five 82mm mortar shells were fired during the shelling, according to the source. “In the evening Ukrainian military shelled the Mineralnoye village area by artillery guns. 13 152mm shells were fired during the shelling,” the source informed. He added that 12 120mm mortar shells were fired at Yasinovataya town itself. DPR army positions in the area of Yasinovataya checkpoint were shelled by 12 82mm mortar shells, IFVs were also used. Sakhanka village was shelled from Shyrokino village recently occupied by the Ukrainian army. This entry was posted in News from Ukraine and tagged DPR, Shelling, Ukraine, Violation of Ceasefire, Yasinovataya. Bookmark the permalink.